The best ramen in LA?? Please! The best ramen in the valley? Perhaps. 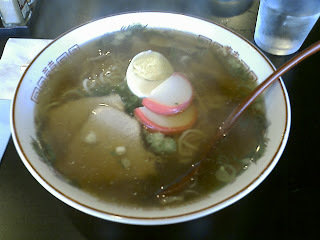 Located on Reseda slightly north of Vanowen, Ramen Nippon is a welcome surprise in a city where ramen is relatively scarce. If you're not looking for it, you'll easily just drive right by. If you do find it, parking will be the worst of it. But trust me, it'll be worth it. 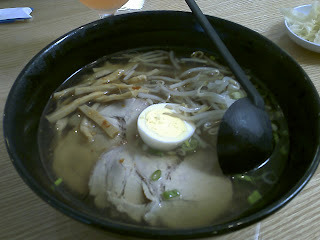 Shoyu-ramen: If this is your first time at Ramen Nippon, you can't go wrong with the shoyu! The noodles are consistently firm and fantastic for slurping. 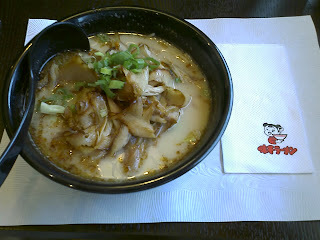 The soup base borders on the strong side, so if you're looking for a lighter taste I recommend the shio. As for the toppings, any time a ramen contains my favorite vegetable, baby bok choy, I tend to favor it, but this ramen has more than just a good vegetable to favor. The chashu is moist and tender and the menma is its usual role player. 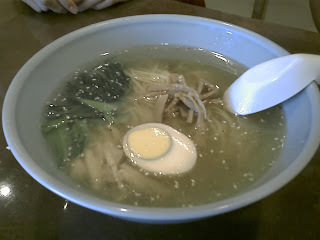 But possibly the best thing about this ramen is the ajitsuke tamago (flavored egg). 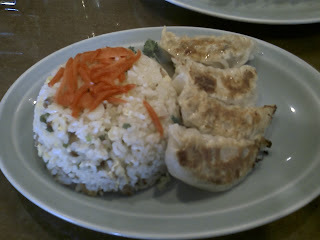 Get it with some gyoza and you won't be disappointed. 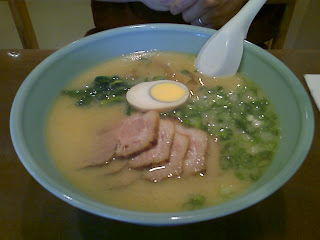 Shio-ramen: The shio-ramen is elegantly refreshing and arguably the best ramen at Ramen Nippon. The lightly flavored soup base is a favorite of many and with one taste you will surely know why. 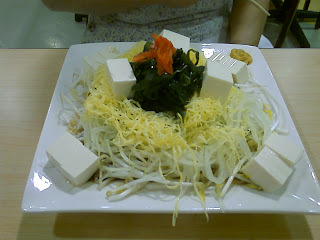 The toppings are the same as the shoyu and no different in quality or taste. 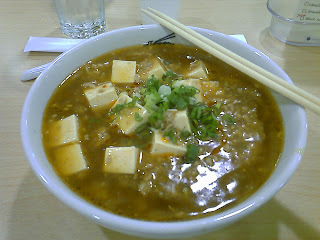 Miso-ramen: I really can't find anything bad to say about the miso-ramen either. The extra chashu in the pic below is a plus. Maybe it's not as good as the shio but that can just be a matter of personal preference. The toppings, once again, are sensational. 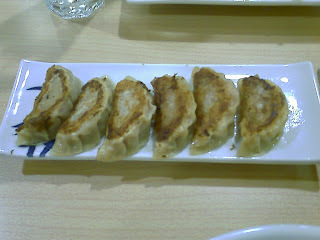 Gyoza: Vampires beware! 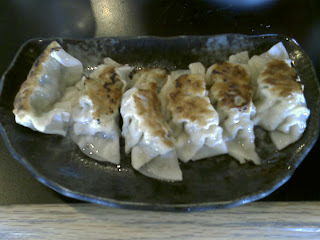 Ordered as an add-on to my ramen, this gyoza was the perfect complement. Never mushy and always full of flavor, do not hesitate in adding them to yours. 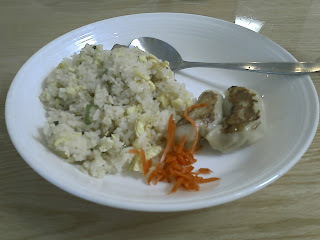 Chahan (Fried Rice): With everything being delicious and satisfying, the chahan was the only disappointment. Without much flavor and taste, the only way to finish it is to dip it in your ramen soup. I wouldn't recommend it but if you must try it, you've been warned. Located behind Wahoo's on the corner of Baker and Bristol, Mentatsu is slightly hidden and often overlooked by shoppers heading to the neighboring japanese market, Mitsuwa. It seems like every time I come here this restaurant has a new name. In my opinion, it has the highest ownership turnover of all the ramen-ya's in Orange County, but I could be wrong. Perhaps it's the location--the small parking lot and hostess bar next door--or maybe it's just the food. As I walked in, I noticed that the interior had been nicely remodeled as opposed to the hole-in-the-wall that it used to look like. Could this be a good sign or just the attractive lure that holds our stomachs hostage? 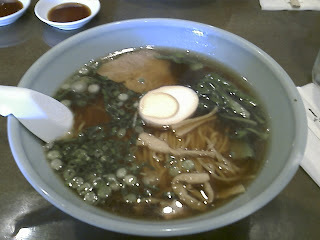 Shoyu-ramen: Similar to the interior design of the restaurant, the shoyu-ramen looked better than it actually tasted. I wasn't impressed at all. The soup base was light and crisp, but after a few sips I began to notice an influx of pepper going down my throat. Not a delight. The noodles were equally bad. They had that freeze-dried-feel you get from packaged ramen at the market. You know, with the permanent crinkles. I felt like I could reconstruct the square block without using a wizard. The toppings even tasted artificial. If you like chashu made from an egyptian mummified pig then this is surely the ramen for you. The egg was just an egg, the menma was just menma, and the kamaboko was just fish cake. I could've eaten this at home. 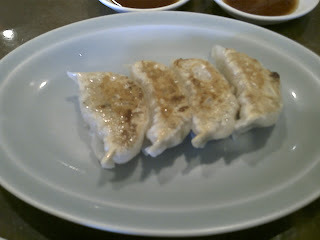 Gyoza: The gyoza looked great as well, but what is it with this place? They must have got their hands on the business plan for the hostess bar next door! I'm surprised that they just haven't hired all the hostesses to sit with you while you eat this crap--I still wouldn't go back. Okay, now back to the gyoza. Once again it tasted like something you can buy from the freezer section of Mitsuwa and cook at home. The garlic content was so minimal it could probably be classified as a pro-oxidant. I bet if a vampire was sitting next to me I would be one by now.